My ornaments for the 2nd Annual Holiday Ornament Swap were all packed up, addressed and mailed yesterday, I hope everyone likes them. They're about 2" or so in diameter (I'm not really sure, I didn't measure), just the right size for a tree, I think. I embroidered two circles of felt with a snowflake pattern, added some glass beads, and sandwiched a scalloped circle of white felt in between. The inspiration came from here, scroll down to see the coasters. And here's a closeup of the bookmark I sent for the Crafty Daisies Bookmark Swap. 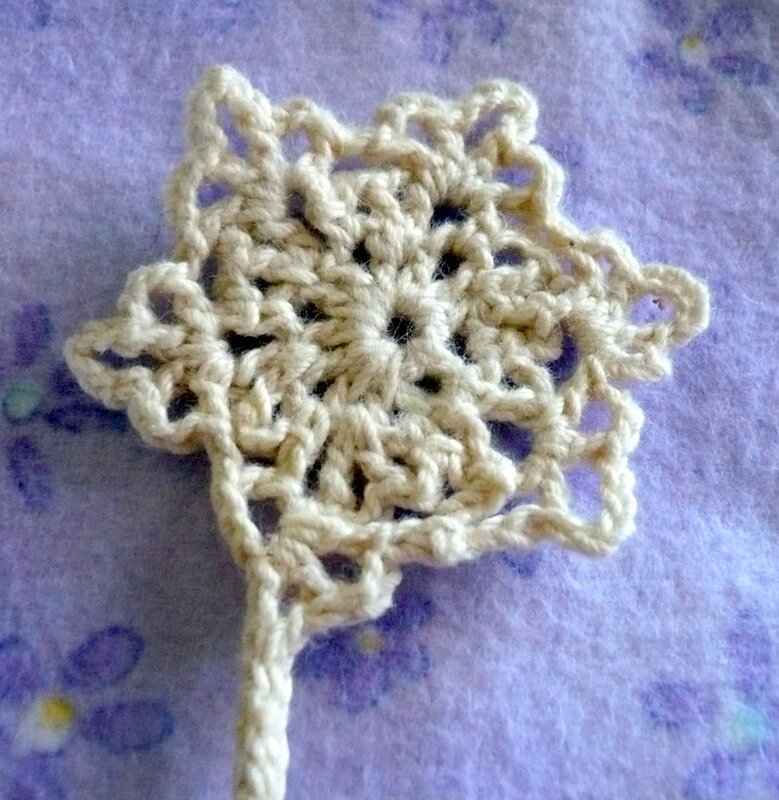 I crocheted a snowflake, added a long chain tail and a little circle at the end. Fun stuff. Now I've really got to get started on those cards... it's okay if I send them out on December 20th, right? Love those snowflake ornaments. So cute! 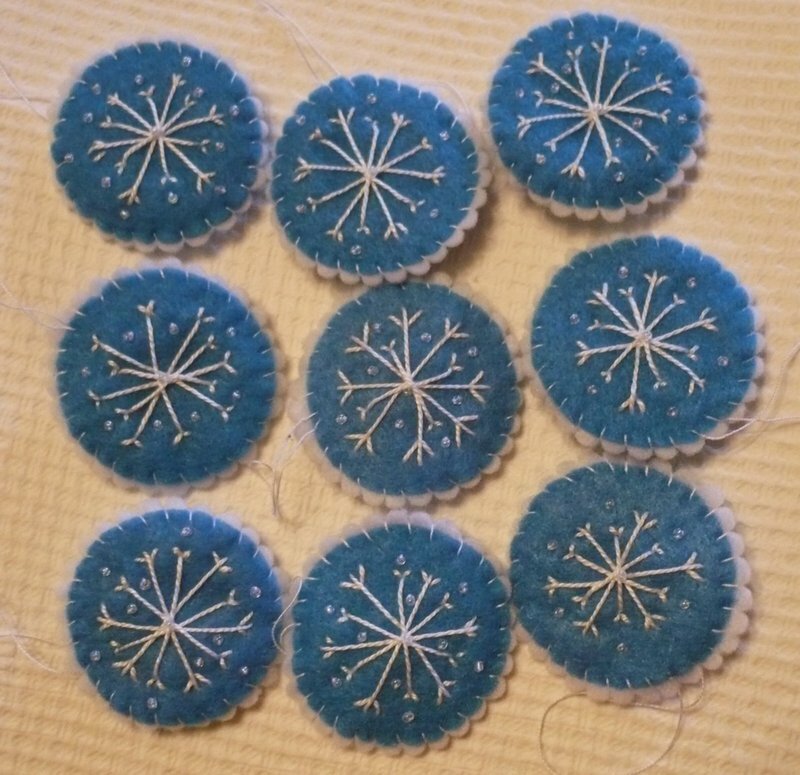 I looked at the coasters you used as inspirations, and while those are very pretty, your ornaments are even prettier! I need to MAKE some of those! Also love the crocheted bookmarker! What lovely things you make! You are so talented! What cute ornaments! I love those ornaments! So cute! I LOVE my ornament which I got today!!!! Thank you so much! They are so cute, Michelle! I mailed out mine this week...can't wait to see if eveyone likes them! Have a great weekend! Love your ornaments and clever bookmark. I am sure that everyone who gets and ornament will love them. 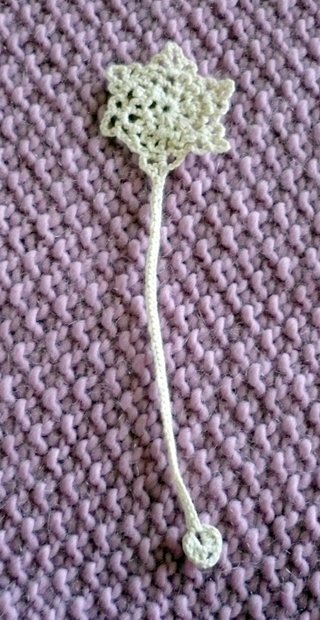 Look what I made on my blog, mine are so similar to yours!! I love your snowflakes. The bookmark is amazing! What a clever idea!